Owner/Manager Charles Hebert welcomes you to Erskineville Massage Therapy (formally Corrective Bodywork/Acute Massage Therapy), your natural choice for body work and natural therapies. 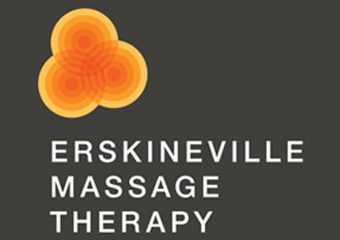 Erskineville Massage Therapy, conveniently located in the heart of Erskineville, is home to experienced and qualified practitioners who are dedicated to your health and well-being. Servicing Sydney's Inner West: Erskineville, Newtown, Enmore, Stanmore, Alexandria, St Peters, Redfern, Sydenham and Glebe. Rebates are given by *private health funds*. HICAPS* is available for immediate rebate from selected health funds. Visa, Mastercard and EFTPOS* are accepted. Gift vouchers* are available upon request. Charles (owner/principal) has been in practice for the last 13 years. He specialises in remedial massage, sports, deep tissue, myofascial release and trigger point therapy. Jennifer offering trigger point and remedial massage. Jennifer has been working as a massage therapist for 6 years now. Mike is a physiotherapist with over 15 years experience. He specialises in rehabilitation and pain management. Call us today to discuss which of our therapies would be of most benefit to you, or to book your first appointment.